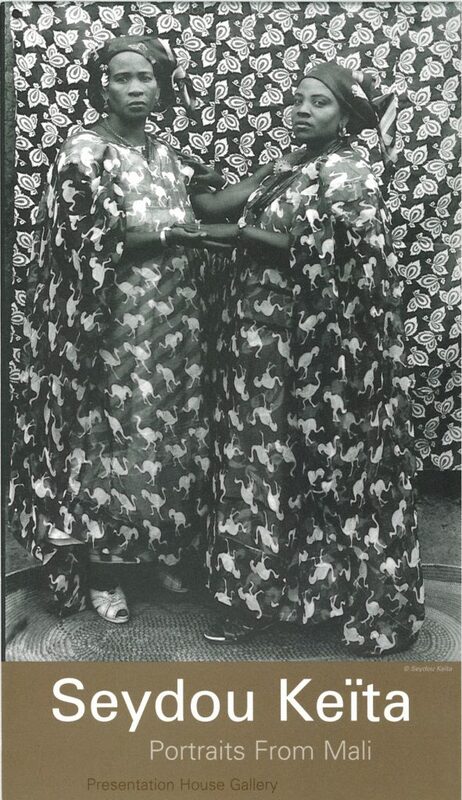 A studio photographer working in the fifties in Bamako in Mali, South of the Sahara in Africa, Seydou Keita made tens of thousands of portraits of his community from 1948 to 1962. Together they form an outstanding record of Malian Society during this period. Seydou Keita’s portraits were first shown internationally in a group exhibition at the centre for African art in New York in 1991, and have since been presented and admired in many countries. Scalo Zurich-Berlin-New York published his portraits in a large, beautiful monograph, in 1997. When you are a photographer, you always have to come up with ideas to please the customer… You try to obtain the best pose, the most advantageous profile, because photography is an art, everything should be as close to perfection as possible…. In Bamako we say “i kany¨ tan”, which in English means “you look beautiful like that”. Art is beauty. Works in the exhibition on loan from Wedge Gallery and Stephen Bulger Gallery in Toronto; CAAC - The Pigozzi Collection, Geneva, with the assistance of Andre Magnin and Philippe Boutte; and several private collections. 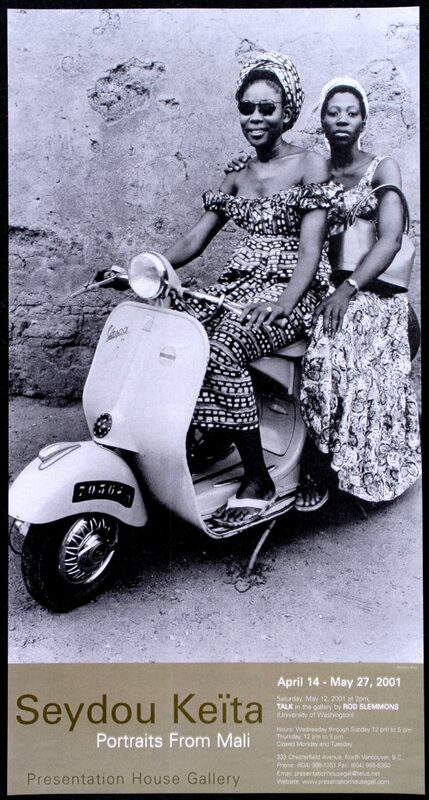 Saturday, May 12, 2 pm | Lecture by Seattle curator, writer and professor Rod Slemmons on the work of Seydou Keita and Mike Disfarmer. Poster for the exhibition "Seydou Keita: Portraits from Mali"